All alumnae are invited to attend Alumnae Reunion Weekend. However, classes celebrate special class reunion on a five-year cycle. For example, all classes ending in a 4 or 9 will be celebrating a special class reunion in May of 2019. Alumnae Reunion Weekend invites alumnae to reminisce with friends and relive their Meredith days. Over the course of a weekend, alumnae are invited to a special class party, the Annual Meeting of the Alumnae Association, individual class events and an Alumnae Worship Service. 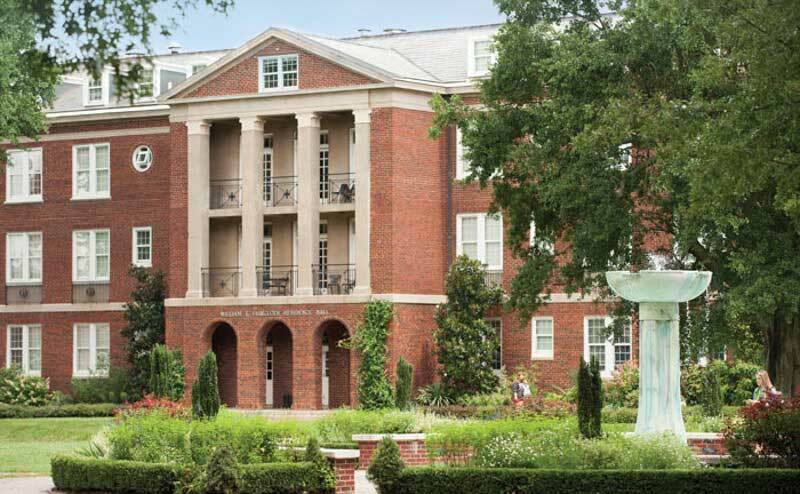 Alumnae also have the option to stay on campus in the Residence Halls. Chapters allow alumnae to gather within specific geographical areas and typically meet two times per year. We have more than 30 alumnae chapters, so there may be one in your area. If there is not an active chapter in your area and you would be interested in starting one, please contact the Alumnae Office. The Networking Angels group offers regular opportunities to network in a social setting. Each event strives to highlight alumnae-owned business, success stories, and offer tips for job seekers. The purpose of the group is to support fellow alumnae professionally. Alumnae are encouraged to use the resources in Academic & Career Planning as you job search or seek career changes. In addition to individual appointments, alumnae may take advantage of job fairs, job postings, resume and interview advice. You can also become a member of the LinkedIn group managed by Academic and Career Planning. This resource will link you to other Meredith Angels. The Alumnae Travel program allows alumnae and friends to travel along with the Meredith community. MC in NYC is an annual trip to New York City each November. International trips have included: Sansepolcro, Italy, Paris, France, London, England and a Scandinavian cruise. Typically, the College offers one domestic and one international trip per academic year. Do you know a prospective Meredith student? Whether she is your daughter, student, babysitter or neighbor, you and your prospective student(s) are invited to Discover Meredith. This exclusive open day for alumnae and their prospective student(s) is held each fall. The day includes a student and alumnae panel, campus traditions tour and a luncheon on campus. If you reside in the Raleigh area, please make plans to join us for our 2018 – 2019 line up of the Alumnae Book Club! The full listing of books, authors and meeting dates can be found below. Meetings will take place in the Alumnae House Parlor at Meredith College on the third Tuesday of each month, September through May. Please join us for coffee at 6:30 pm and book discussion beginning at 7:00 pm. The votes are in! Additionally, Therese Anne Fowler, author of A Well-Behaved Woman, has been contacted to see if she is willing to come back and discuss the book, which comes out in October. Because we don't know when and if she will be able to come, our schedule is not yet final. There are many opportunities for alumnae to assist in new-student recruitment at Meredith College. As an ARMS volunteer, alumnae have the opportunity to assist our admission staff at college fairs both in-state and out-of-state, correspond with prospective and admitted students via e-mail, assist at on and off-campus recruitment events, and refer students to the College via our online referral form. The Office of Admissions values the potential impact of alumnae for building and shaping each new class of Meredith students, so we welcome alumnae to become a part of ARMS. Please contact Anna Lambert, Assistant Director of Admissions, at amlambert@meredith.edu for more information. Meredith students are known to be exceptionally responsible employees. Learn more about hiring a Meredith College student for part-time and off-campus employment.